An article about ice on a very icy day, 8oF and falling. Considering how often the temperature has fluctuated in Pittsburgh this winter I’m surprised we haven’t seen more glaze ice. 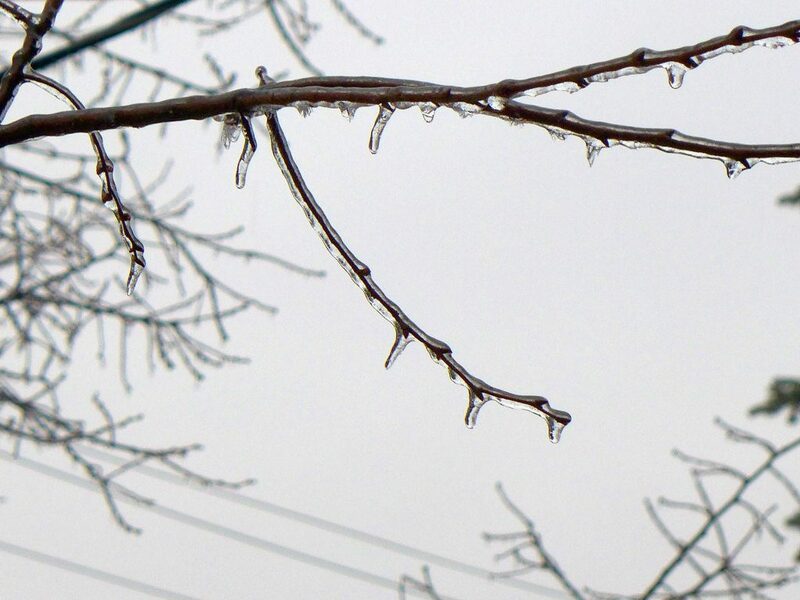 Glaze ice is the name for the icy coating caused by freezing rain or freezing drizzle. If the accumulation is small, the effect is beautiful and the electricity stays on. The photo above from Wikimedia Commons is more beautiful than my own below. When glaze ice is 1/4 inch thick or more the Weather Service calls it an ice storm. A quarter of an inch doesn’t sound like much but it’s so heavy that it weighs down the trees and they fall on power lines, streets, parked cars and houses. Power lines and power towers can fall, too. According to Wikipedia, “just one quarter of an inch of ice accumulation can add about 500 pounds (230 kg) of weight per [power] line span.” No wonder things come crashing down. In January 1998 I wasn’t in Maine for the Great Ice Storm but I remember its results quite vividly. We visited central Maine in September and there were still broken trees everywhere. Folks who lived through it said they were without power for weeks. Everyone was stuck near home — couldn’t drive anywhere — so the radio stations connected people by announcing supplies and requests for help. Everyone pulled together. 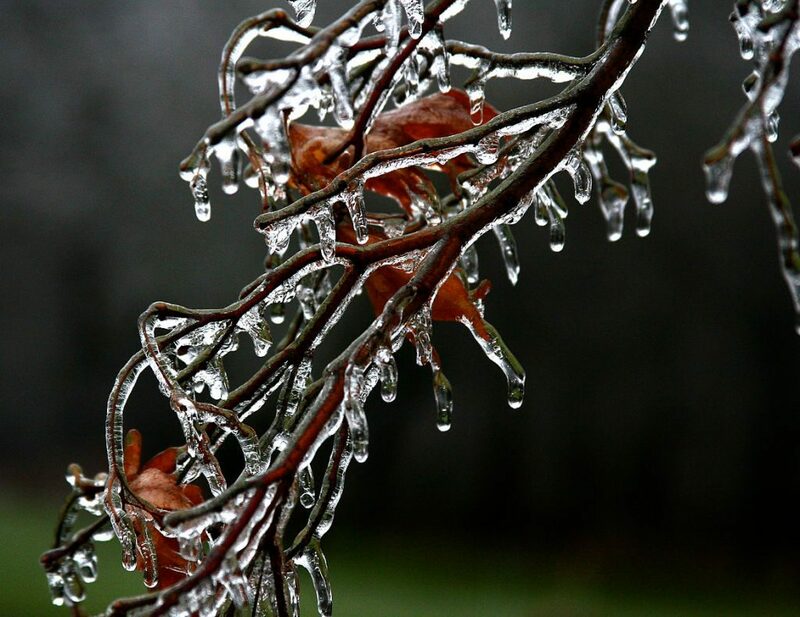 The Great Ice Storm of January 1998 was even worse in upstate New York and Canada. Here are four photos from NOAA. Pretty as glaze ice is, I’m glad to do without it.